One team finished in second place last season, but is heading into the 2018-2019 Premier League campaign shrouded by negativity. The other has finally established itself as a immovable top 4 side, yet their lack of transfer activity puts everything into doubt. Have you guessed who we’re talking about? Well, the title might have given it away. Manchester United finished second last season, yet it wasn’t the kind of year to build confidence moving forward in the Jose Mourinho era. As the Portuguese manager enters his third season at Old Trafford, it feels as if he’s already setting a path towards an exit in which he can say he was never given the money or quality of players to truly compete. Tottenham, with three consecutive season of finishing third or better, actually didn’t sign a single player this summer. Mauricio Pochettino blamed Brexit as the transfer deadline went by with 0 activity by the front office and himself. There’s no doom & gloom feel in the Spurs camp, but perhaps some sort of halted momentum. 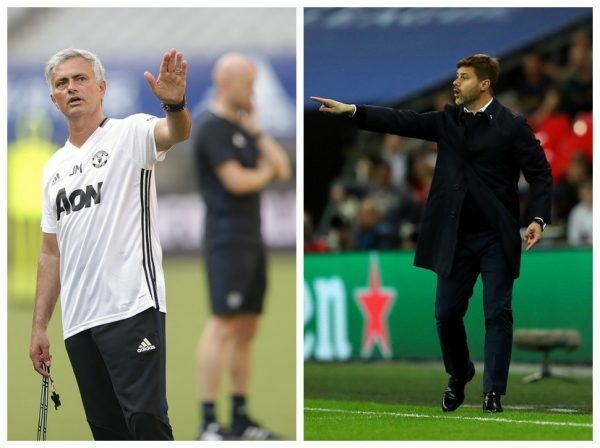 While Spurs are building on a team mostly built on young, talented players given another year to gel together and improve, Mourinho has never been one to simply rely on what he has, although it has always been a summer of little activity for him when he goes into his third season at a club. He’s complained about every possible position at the club except for his goalkeeper, and David de Gea is coming off an awful World Cup. Mourinho probably missed it or ignored it, but an ESPN led research suggested that Man U was the luckiest side in the Premier League when it came to benefiting from officiating mistakes. With Chelsea and Arsenal both beginning years with new managers and huge questions marks over what comes next, not spending buckets of cash on new players isn’t such a terrible thing – both United and Tottenham are expected and expect of themselves to be in the top 4, maybe even compete for the titles. But the glisten of Manchester City and the summer spree of a Liverpool side that played the most captivating football in the league last season along with a berth in the Champions League final puts but Mourinho and Pochettino in a position having to explain a transfer window in which their clubs seemed to lack any sort of ambition of creativity. Tags: 2018-2019 season, English Premier League, jose mourinho, Manchester United, Mauricio Pochettino, Tottenham Hotspur F.C.